Control effectively your fleet with GPS tracking unit Tracking4Free VTU18 OBD. The initial payment covers one tracking unit VTU18 OBD and the first month of service. Further monthly charges (5 EUR + VAT) cover the SIM card with roaming in EU, data, map updates and support. Take control of your vehicle fleet. Easy installation into the OBD connector in the vehicle. Immediate use. Easy transfer from one vehicle to another. No installation cost. Offline tracking software - data is stored on user's PC for added security. The monthly charges cover the SIM card costs, including roaming in Europe, data, map updates and support. 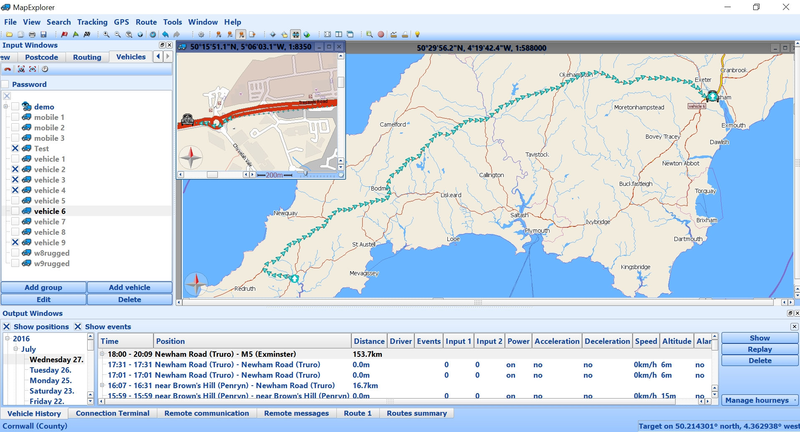 The unit reports when on the move and comes with MapExplorer, street level mapping software, for tracking your vehicles and controling your fleet. As well as real time monitoring the program offers several configurable reports. 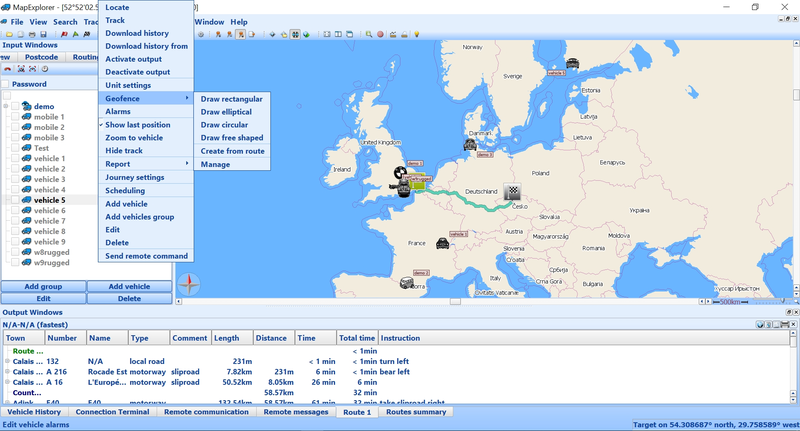 Dispatcher can see in MapExplorer software current position of all vehicles approximatelly every 30 second and it does not matter if the vehicle is in Spain, Russia without any other costs. The application can be launched in browsers in most computers, smartphones, tablets, androids, iPads, iPhones... without a need to install any software. In this application you can create for your customers a time-limited access to the vehicle tracking, so that your customers see the location of your vehicles only when you want. Dispaching centre consists of user friendly street level mapping software MapExplorer, for tracking your vehicles and controling your fleet. Software enables processing and evaluation of recorded data. 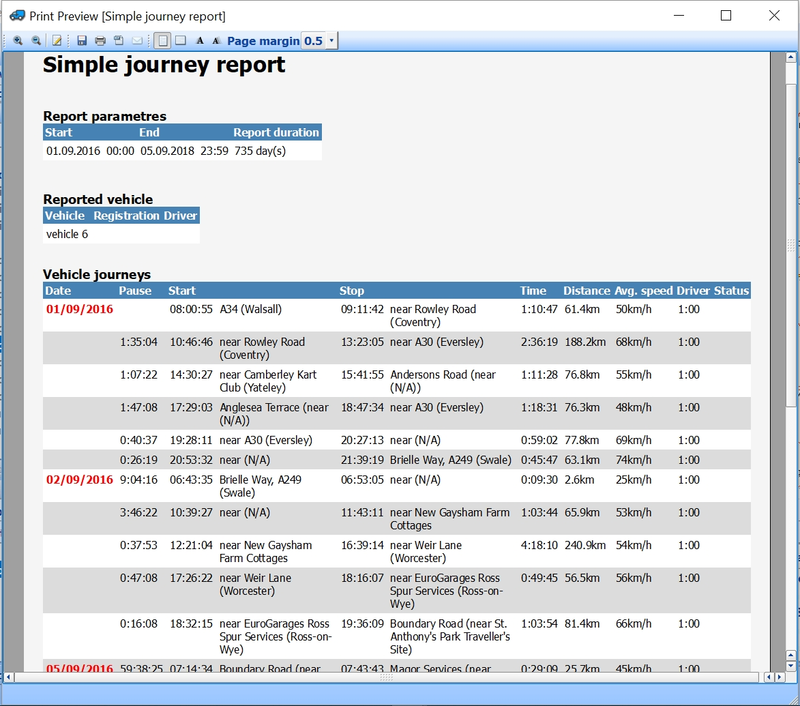 On of its most important function is representing passed routes, playback of vehicle going and statistical reports. Another function is electronical Log book. Log book is created from saved informations (date, time, position etc.). The whole system works automatically, does not allow to driver to interfere with it, therefor the informations are exact. Software allows data export to programs for further fleet management, for example SPZ 2007 from Milk Comupters. Software is for operatins systems Windows 200/ XP/ Vista/ 7.